Mummy: O.K. Ife, it’s time to go to bed. Ife: But mummy (grumbling). I don’t feel like sleeping yet. Mummy: Well my dear, you need to go to bed early, whether you feel sleepy or not. Besides tomorrow is Sunday and I and daddy need you to wake up early in time for church. Ife: Tomorrow’s Easter Sunday right? Mummy: Yes it is. Why do you ask? Ife: I have a question. Mummy: I hope it’s a ‘real’ question and not just some trick to stay awake longer than you should. Ife: No mum. It’s a ‘real’ question. Why is Jesus’ resurrection from the dead so important to us Christians? Mummy: Hmmn…I think I can think of at least three answers to your question. But tell me, what made you come up with such a question? Ife: Well mum. I don’t know. 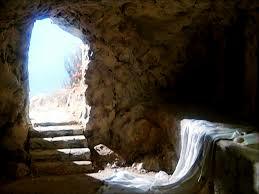 I’ve just been thinking that, if out of all the people who rose from the dead, we only celebrate Jesus’ resurrection, then it must mean that Jesus’ resurrection was very special. Am I right? Mummy: Yes of course you are sweetie. You’re right. Jesus’ resurrection was special because of the important things he did by rising from the dead. Ife: O.K. then. Things like what? Mummy: Hmmmnn. No. 1 and most importantly, because Jesus rose from the dead just at the time and in the way He said He would (Luke 24:46), His resurrection confirmed that all the other claims He made about being the son of God and being the only way to God were true. Ife: Hmmnn. I’m still lost mum. Mummy: Ahhhh. Let me see. O.K. What I mean is, before Jesus was crucified, He said a lot of things about Himself that were very difficult to believe. For example He said He was the son of God…..
Mummy: No dear, that was actually one of the main reasons the Jews got Him killed. He also said He was the only way to having a relationship with God the father…. Ife: and He also said He was going to be killed but that He’d rise from the dead three days after His death. Mummy: yes, He said that too. So you see, Jesus did make a lot of bold claims. But the moment Jesus rose from the dead, thereby fulfilling one of His ‘claims’, He proved that all the other seemingly impossible claims that He had made about Himself were also true. Do you understand now? Ife: Yes I think I do mum. What you’re saying is that Jesus’ resurrection is the main reason why we can believe His claim of being the son of God. Ife: That’s cool mum. It’s almost like you’re saying. If Jesus hadn’t risen from the dead, Christianity wouldn’t even exist. Ife: O.K. mum, but so far you’ve only told me one reason why Jesus’ resurrection is significant to the world and not just Christians.You said you could tell me at least three reasons. Mummy: Oh yes Ife. But it’s past your bedtime now. I’ll tell you the other two reasons I know tomorrow morning. Ife: Alright mum. But thanks all the same. The first answer you gave me looks like the most important anyway. Good night mum. Mummy: Good night my love. P.S…Thanks for reading. But in addition, please feel free to post your own answers to ife’s original question “Why is Jesus’ resurrection so important to Christians?”, in the comment box below. I’m sure his mum would be thankful you helped her out. Lol. Shalom!! If you have ever asked what makes the death and ressurection of Jesus so special, special enough to live your life based on it. Then this post is a must read. And what makes this post special is the direct and simple way in which the point is presented.